Today, while at work I was just trying to watch House on Fox.com when Firefox crashed on me. Interestingly enough, it stayed up there for a while, so I took advantage of the rare treat and decided to take Outlook and play with my crashed browser. 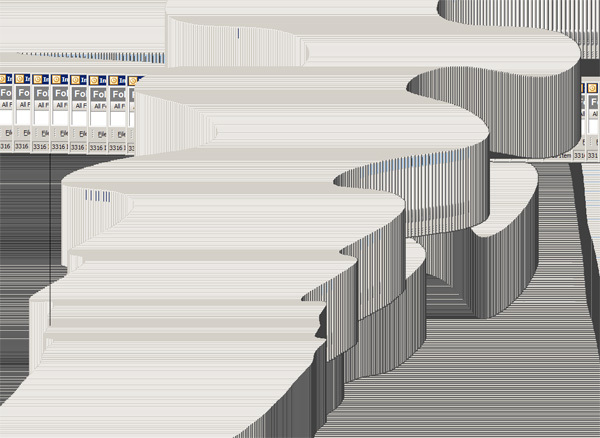 So with my minimized Outlook window as my brush, I stroked the crashed window with grace and came up with this piece of art. It kind of reminds me of when you would play Solitaire on Windows 95 and when you beat the game all of the cards would just start bouncing off from the card stacks and go nowhere. Have any of you guys played with your WinOS fails and came up with artwork? He he, that’s great! I wish my mac did that when it crashed. It just does the not very arty quit program thing.